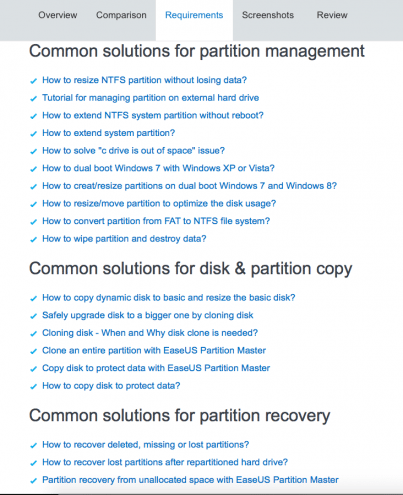 Should You Use EaseUS Partition Master Pro to Partition Your Hard Drive? 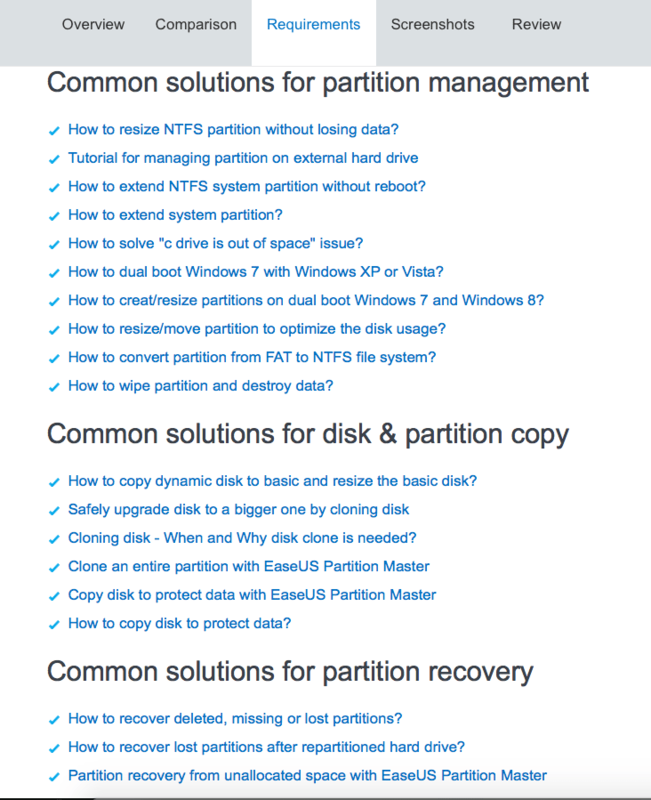 Have you ever wanted, or needed, to create a new partition on your Windows computer? You may ask, why would I? 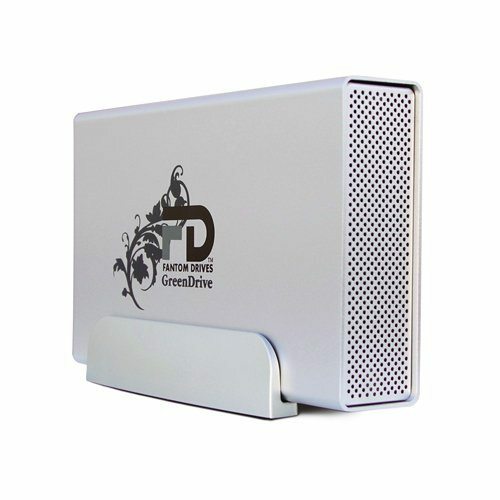 There’s many reasons to create a new partition or simply adjust the size of an existing partition on your computer, some include creating a recovery drive while others are for the purpose of actually adding another operating system, such as Linux, to their system. Whatever the reason for doing it, it’s truly not that difficult to do, as long as you’re careful that is, and one way to be careful is by using third party software to do it for you. We are testing it on Windows 10. 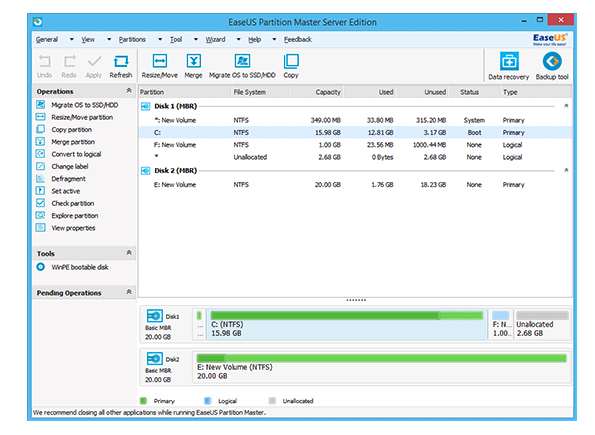 Installing EaseUS Partition Master Pro was one of the faster programs we’ve ever installed on a Windows computer. It downloaded and installed in less than a minute. We have a high speed internet connection (126 mbps download), so that can have a lot to do with it, however, we download programs often on the same system for review purposes and we still usually encounter at least a 4-5 minute install process. The main screen and toolbar basically look like your File Explorer screen, so for Windows users it should be easy to navigate. The toolbar appearance and some of the features can be rearranged should you wish to do so to find things easier, but we found no need to do so during the review. The program operated flawlessly, no hesitation, errors or crashes. Navigating through the toolbar is simple enough to learn how to use the program, titles of tasks or features are well enough described so that you understand what it is you’re doing when you click on it. For those not familiar with creating a new drive, or other aspects of the program, there is a Help feature and we highly recommend it using it before you begin creating or changing and formatting hard drives. Creating a new partition is quick and we had no problem in doing so. You can follow their directions on their Help section, or you of course can just click on ‘create new partition’ or ‘resize partition’ etc. and from there the box popup is fairly self explanatory. Please backup your hard drive before you get started though, and this is also recommended by EaseUS throughout the process. 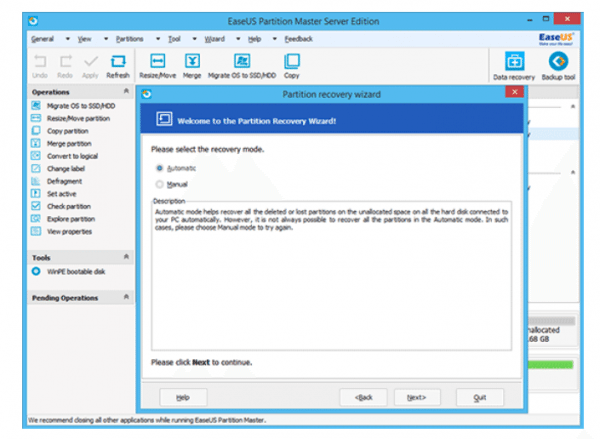 With the Partition Master Pro you are able to do the following (and more): Create a new partition, resize or move an existing partition, recover lost partitions or files (run recovery wizard), create a boot disk, and copy or clone a disk. Any of these features were easy to find, and not difficult to perform. We found a page on their site that helped further if help was needed in any of these areas, and also explained better why you may use a particular feature. 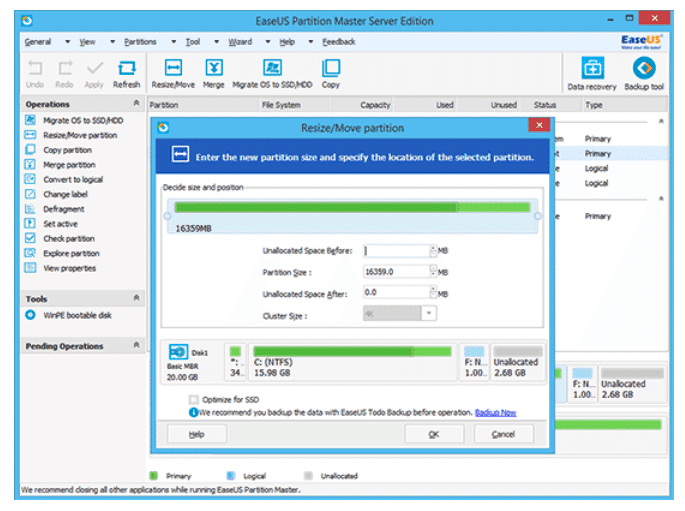 There are three programs available, this review is of the Partition Master Pro, however, if you needed more in-depth features and options you can check out their other two programs. The cost is minimal, currently $39.95, but you can often find it for as low as $19.95 if you watch for sales. There’s also a free trial available and a 30 day money back guarantee, so there’s not a risk involved in trying it out if you decide to do so. Overall the Partition Master Pro program did everything that it’s advertised to do. We found no errors, no crashing issues, and it didn’t run down our resources while running it. There was no harm to our computer, it’s not spamware or something other than it’s advertised. Partitioning is made quite simple, as is resizing or other features offered, all done with a few clicks and our system restarted normally after performing some of the options. We can only think of two things and they do not relate to the task at hand, which is using it to create a new partition so they’re simply just of note. 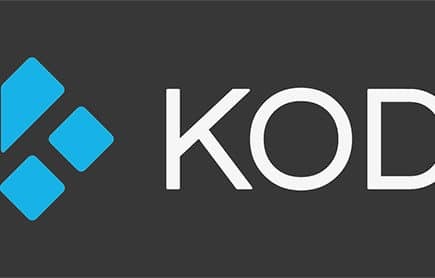 The first that we find worth mentioning is that the company does sell many other software programs and as such you are redirected to their website at some points, such as when backing up or recovering a partition. At those times you are shown to their programs that assist with those tasks. These programs had free trials available and from what we saw you do not “have” to purchase them in order for the Partition Master Pro to do its job, so it was a non-issue for us but we still mention it so you’re aware that you will be shown other products to purchase, even after you purchase this one. The only other note was that some of these things / features are already available for you to do from your computer without third-party software. Some may already know that you can go in and create a new partition in your computer, and resize an existing one, however, there’s multiple features not available on your Windows OS that are included with this software that make it worth having if you’re wanting to partition your hard drive properly and be able to access it easily later on to monitor it and move or add files to it, so we still recommend using this program if you are going to be partitioning. Final Opinion: In the end we recommend this program and give it 5 stars as it does what it says it does! Simple to use, no crashing or errors. 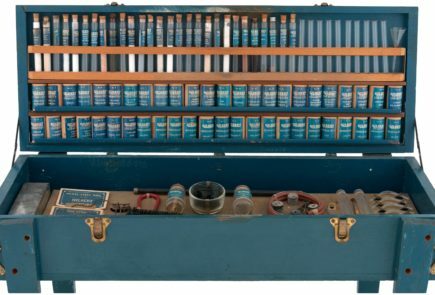 Does everything it's advertised to do, which is to easily create or manage hard drive partitions. Encouraged to buy other software offered by company, but it's fine to ignore it and just use the software as is.